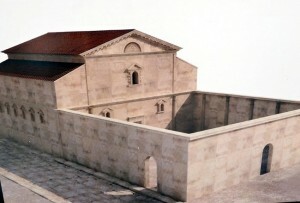 The Antiquity Synagogue of ancient Philipopolis (Trimontium in the Roman period), as Plovdiv was known in ancient times, was built in the first half of the 3rd century AD, possibly during the Severan Dynasty (r. 193-235 AD). 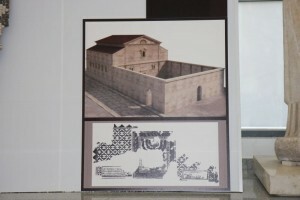 “[The Antiquity Synagogue] is a unique monument of immense historical and artistic value,” states lead archaeologist Elena Kisyakova who discovered the ruins and mosaics of the ancient Jewish temple during rescue excavations. 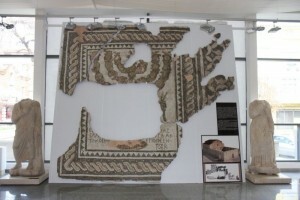 In the 6th century AD, Byzantine historian Procopius of Caesarea mentioned in his work “On Buildings” of a “Tower of the Jews” located east of the Roman and Byzantine fort of Dorticum whose ruins are found today near the town of Vrav, Vidin District, in Northwest Bulgaria. 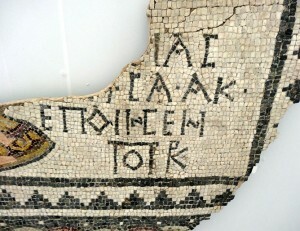 The earliest known Jewish book, “Lekach-tov”, from Bulgaria’s historic territory appealed in 1093 AD; it was written by the rabbi of Ohrid (today in the Republic of Macedonia). 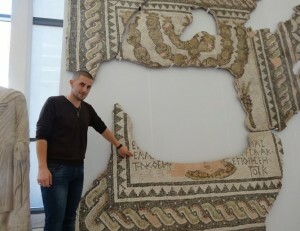 A medieval chronicle from 1185 AD, known as Benjamin’s Chronicle, mentions the Jewish communities in the Bulgarian lands (then still part of the Byzantine Empire). 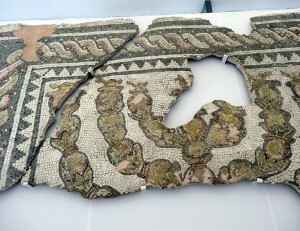 The history of the southern Bulgarian city of Plovdiv – often dubbed the oldest city in Europe – began with the human settlement on the ancient hill of Nebet Tepe (“tepe” is the Turkish word for “hill”), one of the seven historic hills where Plovdiv was founded and developed in prehistoric and ancient times. The hills, or “tepeta”, are still known today by their Turkish names from the Ottoman period. Out of all of them, Nebet Tepe has the earliest traces of civilized life dating back to the 6th millennium BC, which makes Plovdiv 8,000 years old, and allegedly the oldest city in Europe. 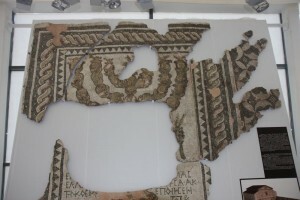 Around 1200 BC, the prehistoric settlement on Nebet Tepe was transformed into the Ancient Thracian city of Eumolpia, also known as Pulpudeva, inhabited by the powerful Ancient Thracian tribe Bessi.